Historically, Turquoise is credited with the property of securing friendly regard, verifying the traditional saying that “he, or she, who owns a Turquoise will never want for a friend.” [Fernie, 37] In the Orient, a Turquoise ring was worn as a protector against all things evil. The proverb states: “Given by a loving hand it brings with it happiness and good fortune.” However, the ring emitted protective energy only if the stone was given by a friend. It was believed to restore clear vision to the mind when the thinking became muddled and thus ensured good fortune. 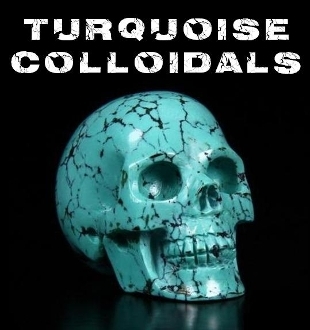 Turquoise is a most efficient healer, providing solace for the spirit and well-being for the body. It benefits the overall mood and emotion by balancing and inducing a sense of serenity and peace. Holding or wearing Turquoise helps restore depleted vitality and lifts sagging spirits. It relieves stress and brings focus back to the center heart. [Simmons, 420] It is empathetic and balancing, helping one to recognize the causes of happiness and unhappiness, and to master them.